How to publish my project to Vimeo? You can publish your Moovly videos directly to Vimeo if you have a Vimeo account. If you don't have this or don't want to publish your video there, you can always use the Moovly Gallery or YouTube to publish it to. 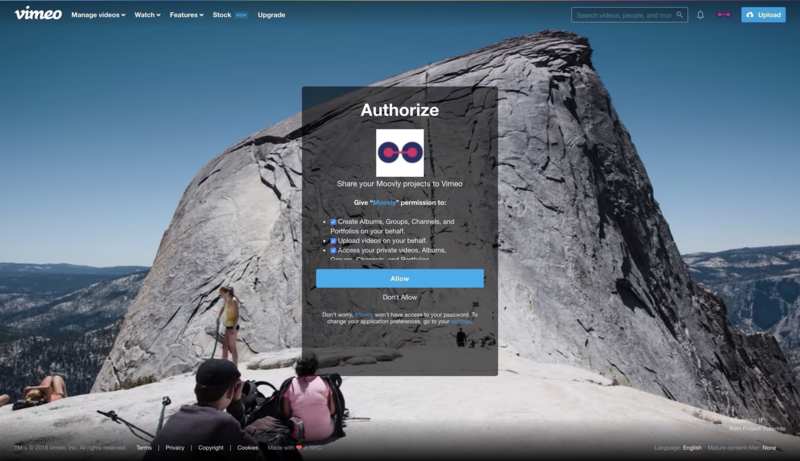 First, you are presented with a pop-up to connect to your Vimeo account with Moovly. 2. Second, your Moovly project is rendered, which means it is converted to a standard video format that is compatible with Vimeo. 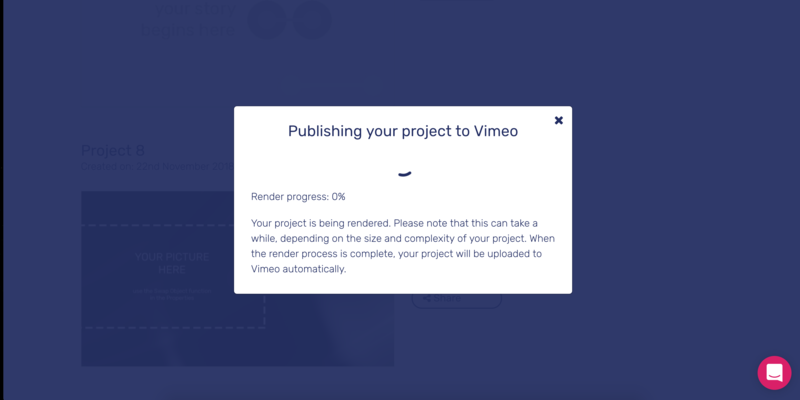 When the rendering process is complete, your project will be uploaded to Vimeo automatically. 3. Once your project is finished rendering it will upload your video to Vimeo. You will receive a message with direct link to your video on Vimeo. Sometimes it can take a couple minutes to see your video on Vimeo. How to troubleshoot publishing to YouTube? How to download your Moovly project? How do I publish a Moovly project?